You know all about the modern F1 calendar. That it exists in a near-perpetual state of flux. You might even say a lot of the rounds on it these days seem interchangeable. And given this it's almost easy to forget that we had on it an Indian stop off, and as recently as eighteen months ago. But we did, for three years, and while this was far from the universal view by the end of its brief run, I for one regretted its departure. Felt that the sport was way too quick to give up on it. CC BY 2.0 via Wikimedia Commons - http://commons. For me it was a no-brainer why too. The world's second most populous country, and a key global growth economy, with a burgeoning middle class with incomes to spend. As well as that as anyone who has watched an IPL game could tell you it has rather a lot of sports fans in it in addition to a few moneyed individuals willing to invest plenty in sport. In other words, the potential rewards for F1 establishing itself there are as vast as the country itself. 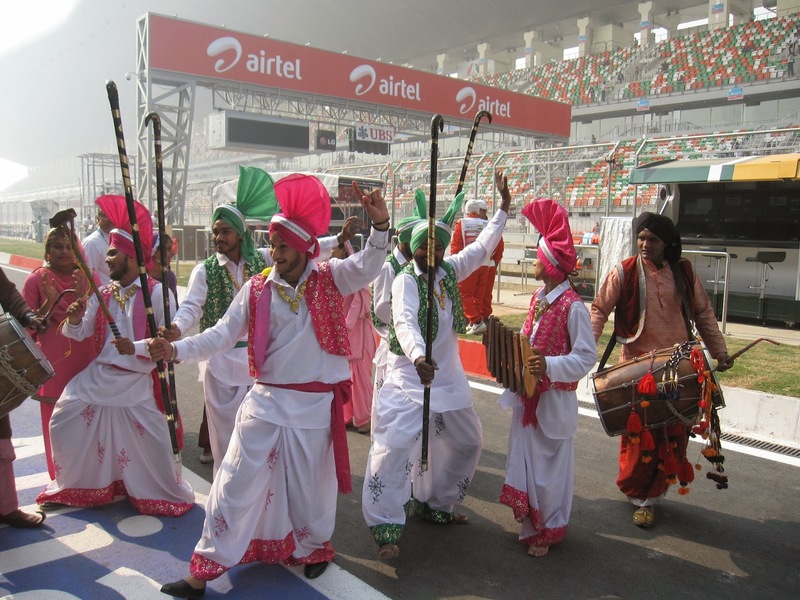 Even better too, unlike most other recent shifts of the sport into new markets, this Grand Prix was no top-down imposition by a Government interested mainly in national promotion and 'branding'. This was a labour of love from genuine motorsport enthusiasts, not least president of the Federation of Motor Sports Clubs of India at the time Vicky Chandhok. The welcome was a conspicuously warm one. The commitment moreover for this to be but part of a broader push to develop grass roots motorsport in the country seemed genuine. I must have done well on my A Racer's Experience debut as they invited me back for the following episode. This latest episode is below. Herein presenter Matt Nicholas and I look in detail at the Bahrain Grand Prix as well as ahead to what we can expect when the European season kicks off in Spain. You can have a watch below. My bit starts at around 26m and 45 seconds. And if you're interested earlier in the episode Matt chats to Conor Daly about the IndyCar and Indy Lights Grands Prix of Long Beach as well as with Steve Parrish about the MotoGP in Argentina and the Superbike World Championship in Assen. 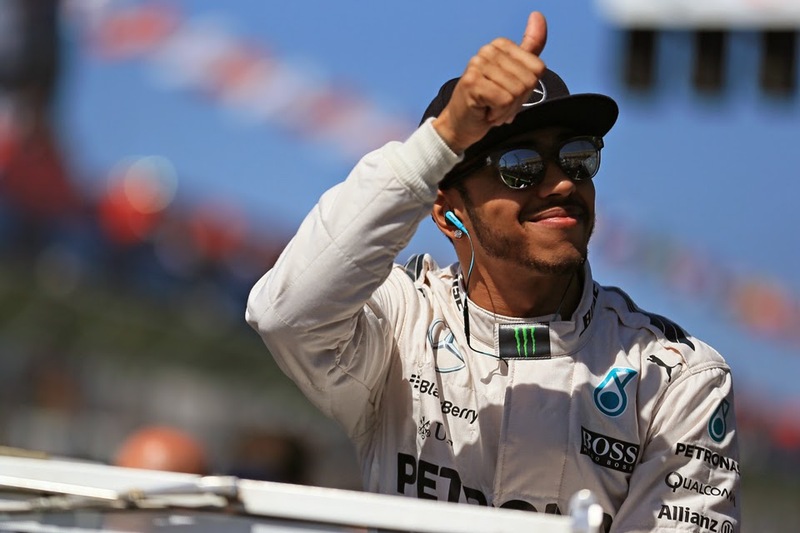 Inside Line F1 Podcast - Did Bernie Call Mercedes? 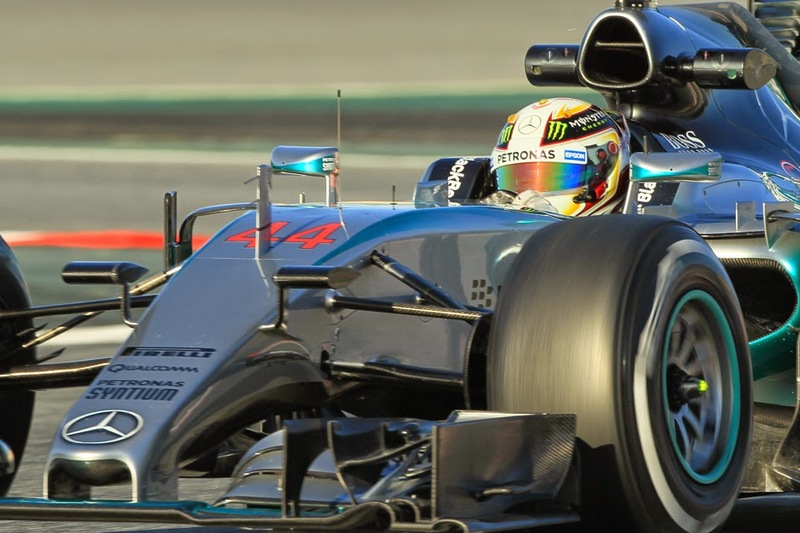 Here's the latest Inside Line F1 podcast for your listening pleasure. THis time Kunal and Rishi look back on the Bahrain Grand Prix, and are astonished that it gave them so much positive to talk about... Sparks, Kimi, and the odd conspiracy theory among many other things make up their discussion. The Inside Line F1 podcast is produced and hosted by Kunal Shah and Rishi Kapoor, and is one of the most listened to podcasts in India and Asia. They are looking to expand elsewhere, and here on Talking about F1 I'm delighted to help share it. 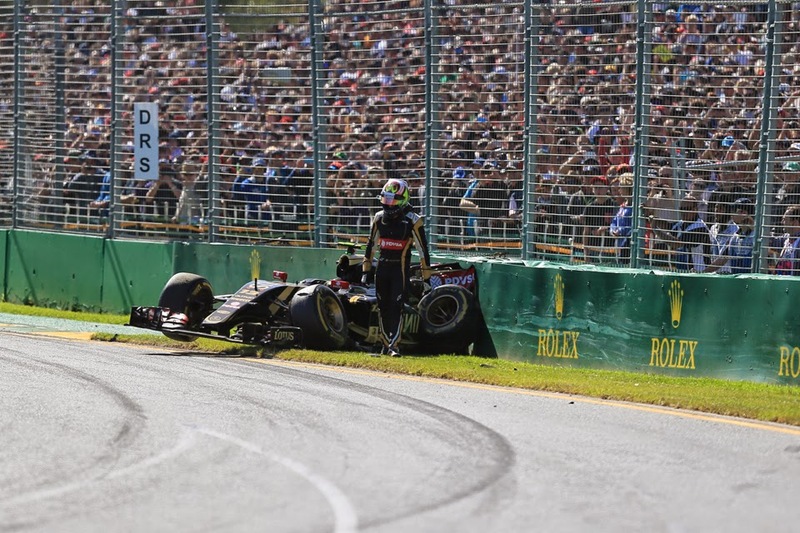 New Grand Prix Times article: Despite everything, do we malign Maldonado? Pastor Maldonado. Mention of his name no doubt brings many things to mind. Crashing, mainly. Possibly that he's a danger to himself and others. Perhaps that he's an embarrassment. And it's all been brought into renewed focus with his, erm, adventures in the last couple of races. In my latest article for Grand Prix Times I however take the contrary - perhaps unpopular - view and ask, despite everything is Pastor in fact not that bad? Is the criticism he gets over the top? My Bahrain Grand Prix review for Motor Verso is now available. In it I reflect on a race which while its winner didn't look appear a shock on the face of it, this one was in many ways the F1 equivalent of an away win. As mentioned these race reviews will be a permanent feature from me on Motor Verso this season, so do keep an eye out for them. On Motor Verso you'll find motoring news, car reviews and features - the team on the site carry out weeklong test drives of the latest cars - as well as photos and videos of the machines. We should have known better really. We thought this would be different. That it would be another day like in Malaysia, and the Mercedes would be required to step down. But it didn't happen. Not quite anyway. 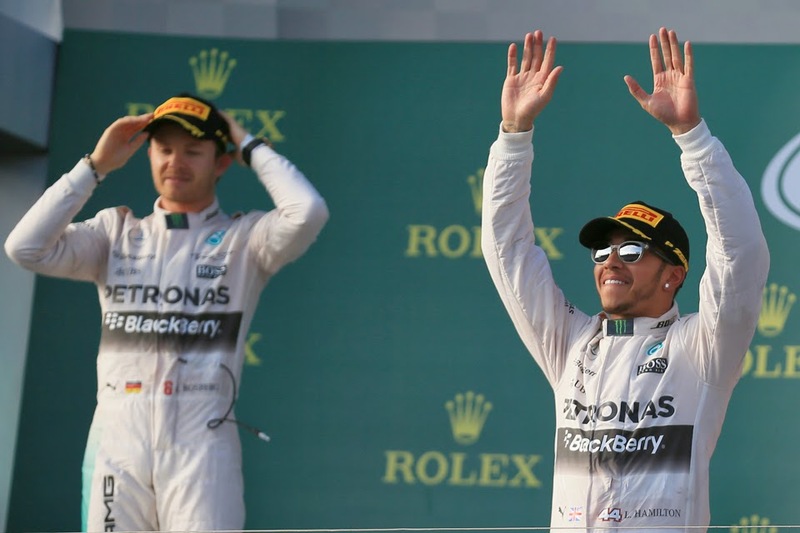 Whatever else happened today, Merc won a race that many expected it not to. The team will walk away from Bahrain well pleased. And of its number, Lewis Hamilton especially so, who just as he did in Australian and China mastered the Sakhir race out front with a minimum of fuss. While he never was far away from his pursuers once again as in those previous two triumphs he never looked under threat. There were a couple of minor false notes in this symphony. First was a slightly botched first pit stop, which brought the rest onto his tail. But Lewis simply set about moving smoothly away to re-establish his gap of old. Then on the last lap he developed a brake-by-wire problem, but after some weaving and a few palpitations from those watching on he still crossed the line 3.3 seconds to the good. And the familiarity of a Lewis-Merc triumph shouldn't deflect from that this scrum was rather won against the head. This one was supposed to be different. Finally, we thought, the haughty Mercedes would have a fight on its hands. That the wind was gusting added another welcome variable. Some hope. Once this particular kaleidoscope had settled, its pieces were back in rather familiar places. 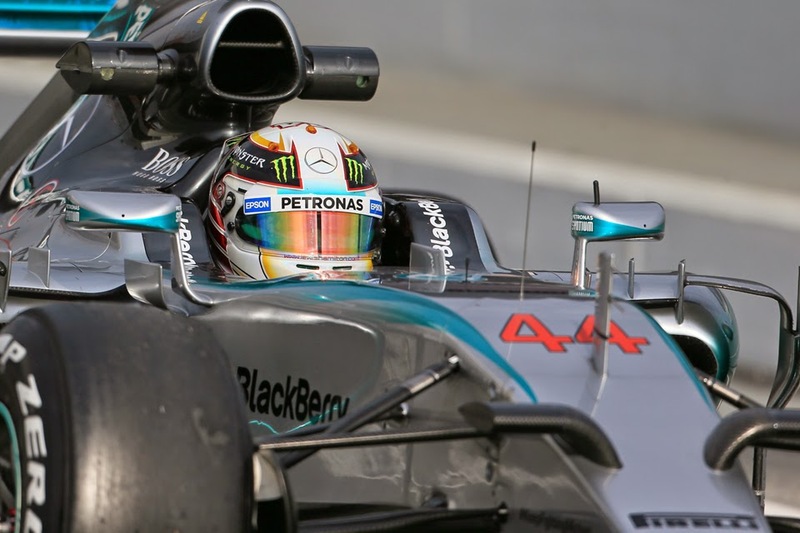 Lewis Hamilton took pole position for the Bahrain Grand Prix. As he has everywhere in 2015 thus far. And it wasn't even close in the end. Many looked to Ferrari here, and indeed near the last of the final qualifying act Sebastian Vettel was at centre stage, on top of the timing screens. But crucially this was before Lewis had finished his lines, and they it transpired were emphatic, as he swept around almost last over the line with a mark four tenths under Seb's. Everyone was consigned back into their respective boxes. "It's never easy doing qualifying" said Lewis later, and we don't doubt him. But like many sportspeople at the top of their considerable skills, Lewis right now makes it appear so. But even so he couldn't conceal where he is right now: "As a driver, for me, I love qualifying" he went on. "You've got to go out and bring everything together that you've learnt for that one lap, and it's so intense...it's so much fun." This week I was invited to appear on the regular YouTube show A Racer's Experience. This is a programme by Matthew Nicholas which discusses the latest goings-ons in various motorsport categories. Apologies for the strange noises (other than those coming out of my mouth which I'll take responsibility for...), no idea what those are. Except for Max Verstappen and his bold manoeuvres on track, I got bored during the broadcast of the 2015 Chinese Grand Prix. Okay, I admit, Pastor Maldonado entertained too, in parts. But that was it! 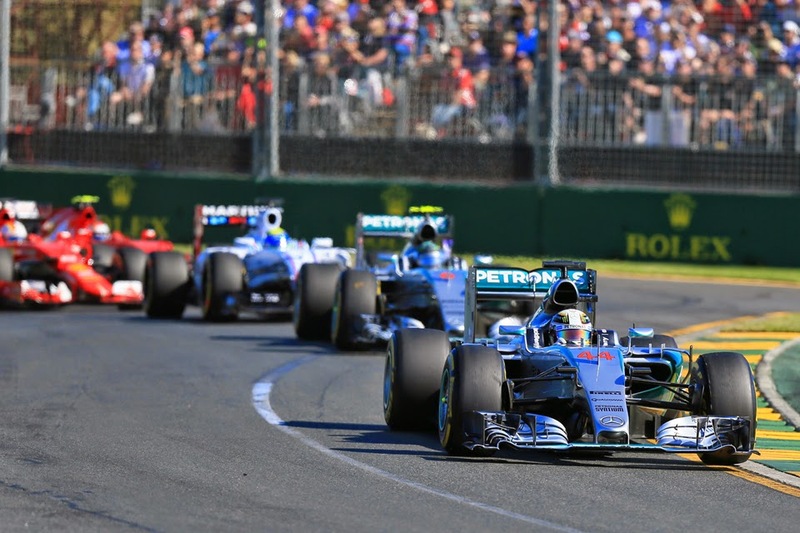 Post-race, I wondered, what's wrong with Formula 1? And I couldn't find a direct answer. 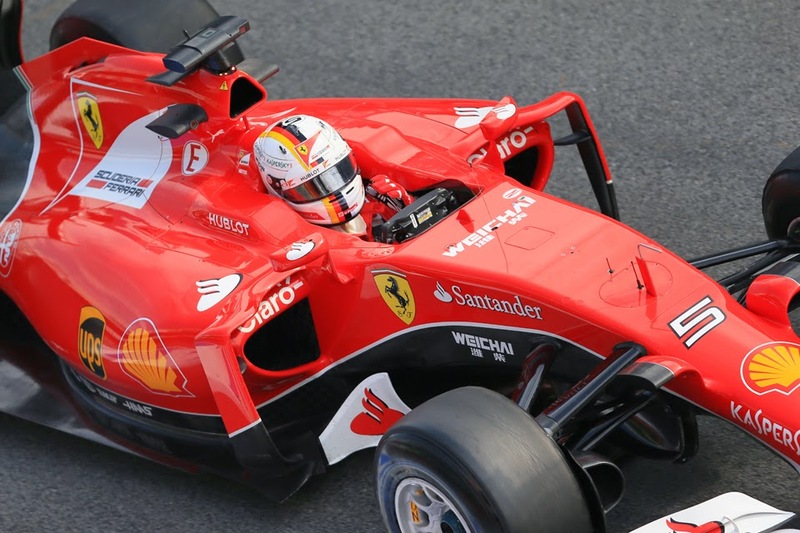 After a drab 2014 Formula 1 Season, we have two marquee manufacturer teams battling for wins on track – Ferrari vs. Mercedes. In this, we have (yet) two World Champions fighting at the front – Sebastian Vettel vs. Lewis Hamilton, not so typical a script for Formula 1 for the last few seasons. We also have another former World Champion (Kimi Raikkonen) in a Ferrari trying to find his way to the front; not to mention, the other Mercedes driver (Nico Rosberg) who desperately wants to win his first World Championship too. My point is that we finally have a battle of sorts to follow. What a difference a year makes. The Bahrain Grand Prix 12 months ago was the nadir of a season for Ferrari already characterised by impenetrable murk. With all of the Scuderia's royalty present for the occasion, to shift road cars as well as in then-President Luca Montezemolo's case to seek to alter the sport for its own benefit, the Italian squad was humiliated. Left on the Sakhir Circuit's many straights, not gaining a great deal back around the subsequent bends, its two cars were swamped and trailed in only to fill the last two points-scoring places. Montezemolo even by this point though had seen enough and long since scarpered the scene in the back of a taxi. With the chastened faces in the Ferrari pit you could almost see the knives being sharpened before your eyes, and sure enough Team Principal Stefano Domenicali was gone by the time of the next race. And he it transpired was merely the first victim of a season of the long knives at Maranello, that was bloody by even its own worst standards. Even Montezemolo himself fell victim before the year was out. But this weekend Ferrari approaches the Bahrain Grand Prix a year on with things likely to be almost unrecognisable by comparison. Moreover, ever since the red team astonished everyone - perhaps even itself - with its race-winning run in Malaysia in round two a fortnight-and-a-bit ago, many have looked to the Bahrain race for a potential repeat. 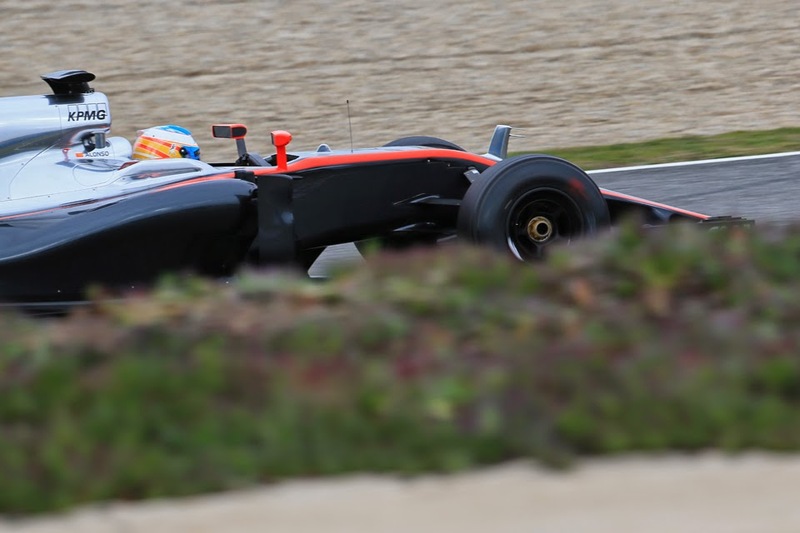 Fernando Alonso's move from Ferrari to McLaren has raised plenty of derision. And we can understand why, given that very little has gone right for the Spaniard or his new team since they got back together for this season. And as if to add insult to injury, in an astonishing turnaround compared with 2014 the Ferrari squad that Alonso left after years of frustration has all of a sudden leapt to somewhere near, or even on, the Mercedes front-running pace. But...even with all of this is there still a chance that it'll all work out for him in time? 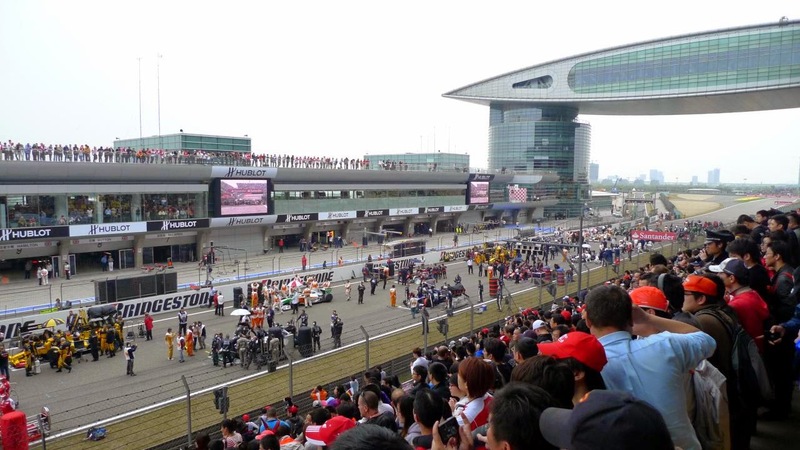 My latest Grand Prix review for Motor Verso, that for today's Chinese race, is now available. In it I reflect on a day in F1 when the dropping of chequered flag seemed to herald the start of the drama. I even manage to squeeze in a Morrissey reference. This is because just over a week ago the series' chief executive announced that therein the grid girl was to be no more. On the grounds that society that surrounds the sport had moved on from the concept. 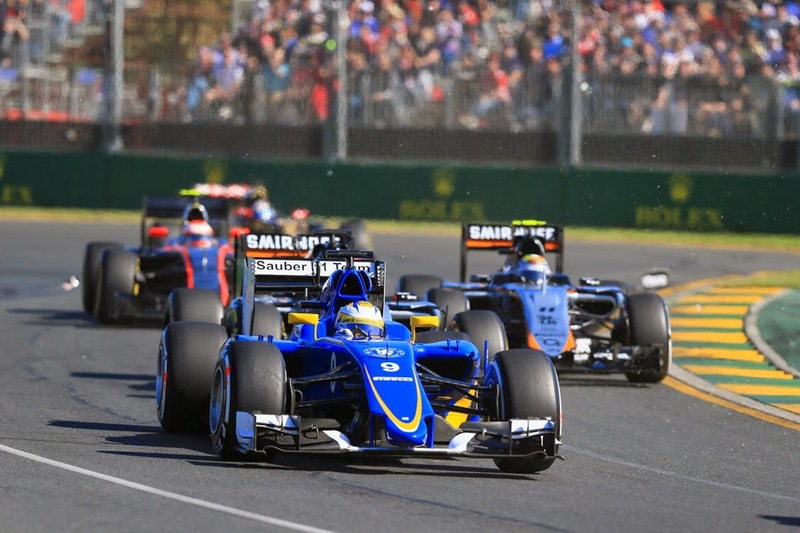 This of course sparked debate among F1 observers over whether this game should do the same. And in my latest article for GP Racing Plus I looked at the issue, and why I think F1 would indeed be better advised to get rid. Topping all three practice sessions. Pole. Win. Led every lap aside from a solitary tour during the first stops. Fastest lap. It doesn't get much better than that. And the facts as well as being overwhelming also are apt. In China Lewis Hamilton was in absolute command from the very first point that a wheel was turned on Friday. His 25 points from his Shanghai weekend felt long since an inevitability akin to night following day. In most ways this was much more Australia than Malaysia. Just as around Albert Park things were close. But just like then it was illusory as Lewis had everything under control, and never looked as if he would be usurped. "I was enjoying myself" he admitted later. It looked that way. His team mate Nico Rosberg threatened during the first stint, staying within a second or so. But around each pit stop phase Lewis uncorked the bottle, and tore chunks out of his previous lap times. Once it all settled down he was conspicuously farther away. 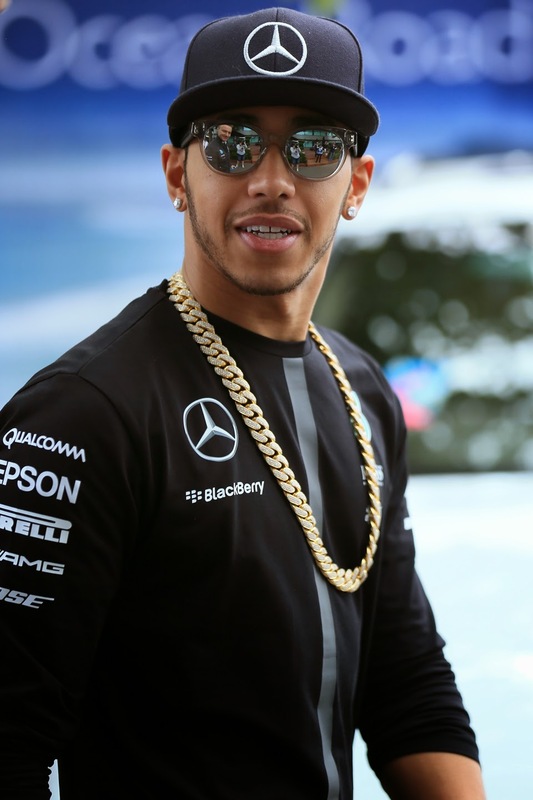 The race ended under the safety car, but at that point Lewis was a positively balmy five seconds up the road. It was another race of one. Another way that it was more Australia than Malaysia was in the entertainment stakes, with the world feed TV director appearing to agree as from half distance onwards at least as the Mercedes hardly were shown and battles further down the field - sometimes far down the field - were on screen instead in apparent desperation to find something diverting. But after the chequered flag it was like some - and one person in particular - decided to make up for the drama deficit. You know what they say about when things are going for you. Lewis Hamilton has looked untouchable from the very moment a Pirelli first turned in Shanghai this weekend, apparently continuing a 2015 wherein he's appeaered somewhere near the top of his towering repertoire. 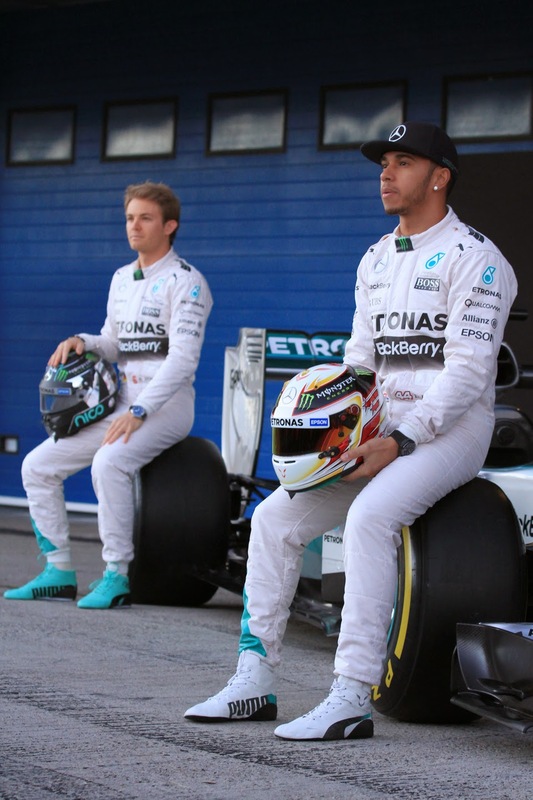 And well on top of his ailing team mate Nico Rosberg. 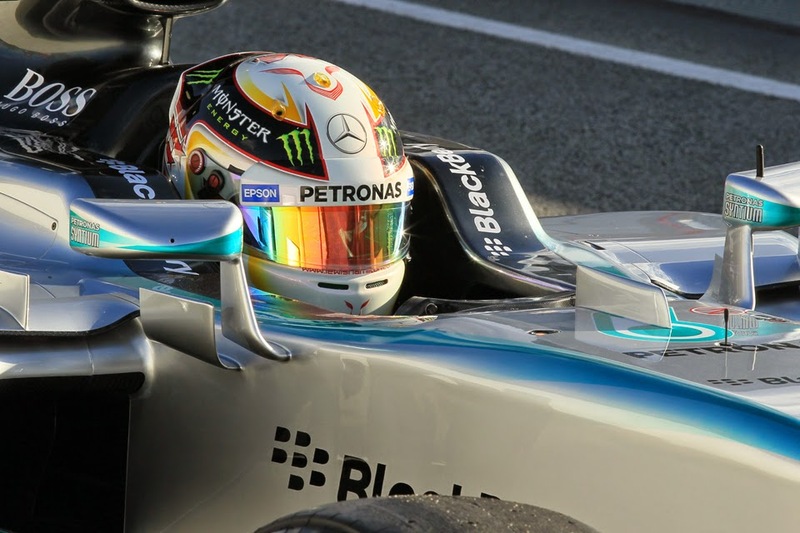 Lewis topped all three practice sessions. Then come qualifying he looked on a plateau, tearing chunks out of each of his marks at the top of the timing screens, and to a scarcely credible extent, tour after tour. But at the vital moment and when we least expected Lewis had a slight stumble. This track is one that evolves rapidly, and Lewis somehow on his final flying lap didn't improve, almost incongruously giving Nico a sliver of light. Nico did improve, but not quite enough, falling short by a scant 0.042 seconds. Or a blink of an eye. 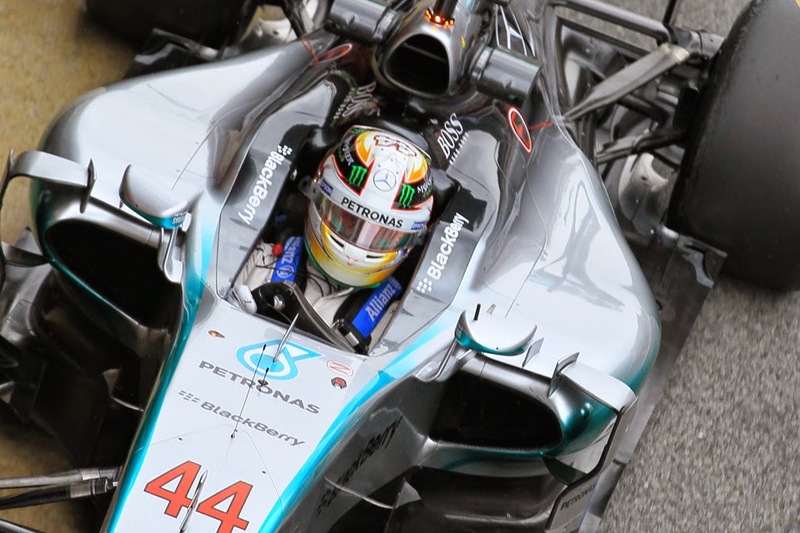 But no matter as pole was once again Lewis Hamilton's, his third from three in 2015. And his fifth ever in Shanghai. You'd be forgiven at this stage of the season for thinking that the F1 calendar is a little samey. And the Chinese Grand Prix at the Shanghai International Circuit that awaits us this weekend won't do a great deal to dispel the notion. Many of the characteristics will be familiar: a Government-backed Grand Prix in a country that might be termed a coming economy (China's economy is more coming than anyone's); a round that appears much more motivated by national promotion than of making a successful event per se; a glittering, a Hermann Tilke-create squeaky-clean facility with towering architecture built with the help of a blank chequebook, that at its first visit felt like a distinct stride ahead of what had been seen before. Indeed even now no other venue rivals this one for vastness - paddock occupants reckon they walk further in the Shanghai weekend than in any other. And a bit-of-everything layout, with a long straight - underlining the theme of vastness it is reckoned to be the longest in the sport - and a big stop at the end created with overtaking in mind. Of the Tilke layouts before and since however this is among the least free-flowing, being more made up of the tight and technical. It does have the trademark Tilke fast esses section however. 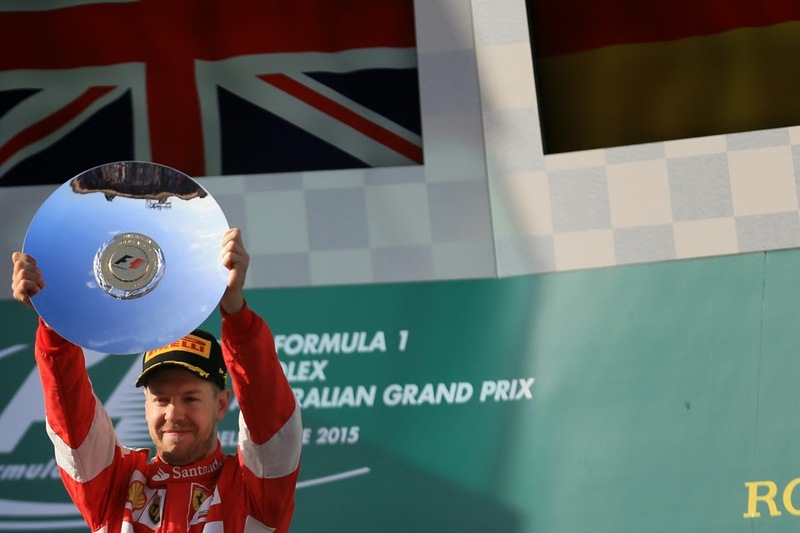 The latest Inside Line F1 podcast is here. And this one is a cracker, as Kunal and Rishi have a coup of an interview with David Coulthard, who was at an F1 showcar run in Hyderabad driving the Red Bull. 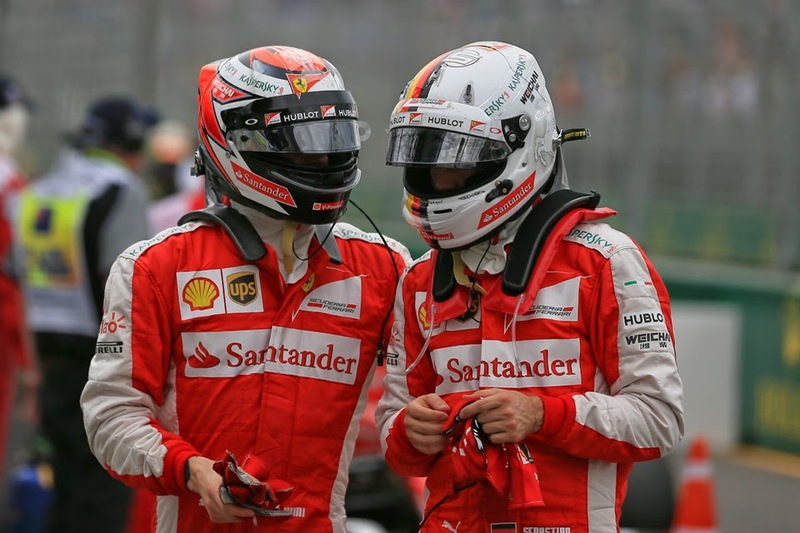 Inside Line F1 Podcast: Vettel vs. Hamilton for the Championship?